With Android launcher apps, you will be able to change the most used user interface of your phone i.e. your home screen. It is far more than just changing your wallpaper. You will be changing your home screen as well as your app drawer. Some launchers even change your dialer, contacts and texting app. These changes impacts a lot on the user interface. It's like giving your phone a fresh look. Changing Android launchers will allow you to switch from something that you have been bored using for months to something fresh and new. Everyone wants a new look for their phone and luckily for us, we can do it by installing launcher apps. There are many of those apps available at Google Play Store. Just make a search for "Launcher" and you will find tons of those. I think that any launcher related blog post will try not to skip this one. Go Launcher Ex is the most popular Android launcher with 100 - 500 million installs from the Play Store. Chances are that you have already tried out this app. This is the launcher with some of the best built in features that you will ever see. 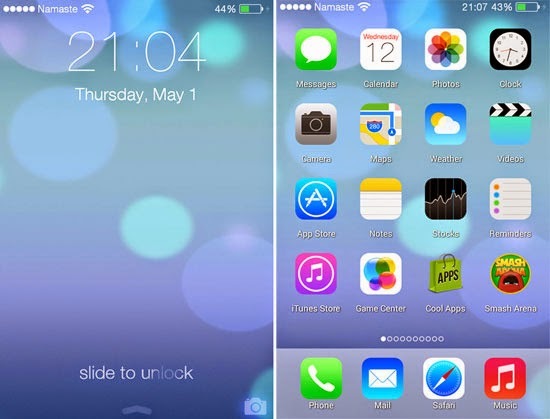 It modifies the look of your home screen, app drawer and screen transition animation. You also get additional features and widgets such as screen gestures, Go Market, tons of wallpapers etc. There are also additional apps that you can download for this launcher which adds new features like phone back up, weather forecast, battery saver etc. This app also has a paid version, but the free version has a lot of functionality which will be enough for most users. There must be people out there who are fascinated to give their phone an iPhone/iPad look. Well, this launcher does exactly that. iOS 7 Launcher is a free app available at Play Store for Android devices. This app, like its name, makes your Android phone look like it is powered by iOS 7. It brings the graphical elements from Apple's iOS to your Android phone. Your home screen, lock screen, icons and transitions will change completely. Your default apps will be placed before downloaded ones on the home screen. The lock screen is also exactly similar to iOS 7's lock screen. You swipe to the right to unlock. Other settings such as quick access to Wi-Fi, camera etc. is also available right from the lock screen. If you are interested in making your Android phone look like a Windows phone in terms of its user interface, then this is the app for you. The app is titled "Launcher 8 free (fake wp8)" at the Play Store. It is free to download. 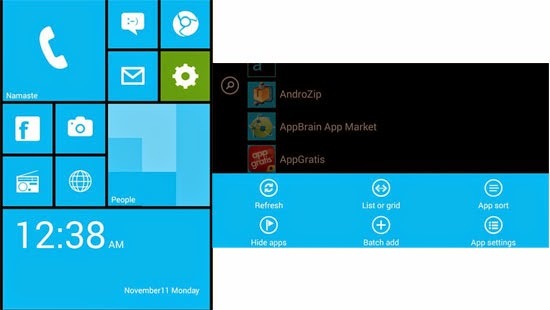 This app modifies your home screen to match the tiled layout of a Windows phone. The home screen tries to copy a Windows 8 powered phone. 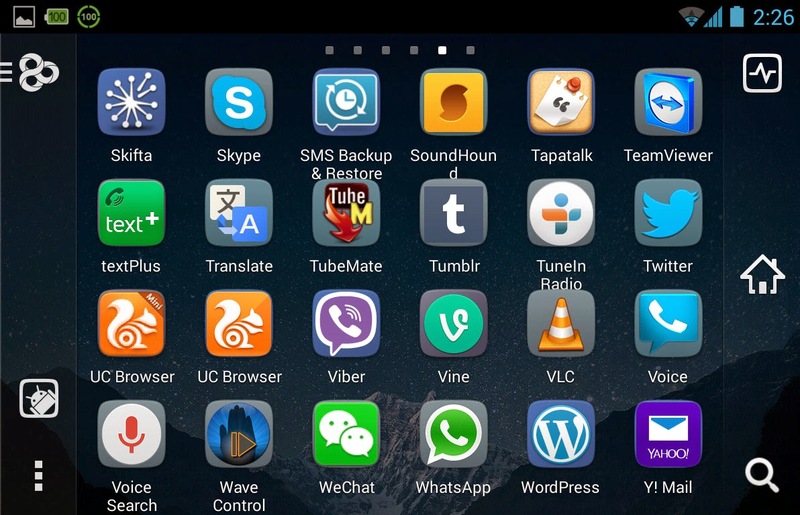 Then, there is the app drawer which lists all the apps in your mobile. This app drawer listing is also different. Apps can be displayed in a grid or as a list. Additionally, this launcher allows you to modify colors of everything that you can see. There are also downloadable themes for this. Try this launcher if you are interested in seeing what a Windows phone layout would look like. Xiaomi is a popular name in the world of Android. They are known as the producers of the popular Xiaomi Mi series phones. In their devices, you will find MIUI, a heavily modified version of Android OS. This user interface is also available as a launcher for Android users of other devices. This beautiful launcher is titled Mi Launcher (previously MiHome) and is available for free download at the Play Store. After you install this launcher, your phone will mock a Xiaomi phone's home screen. The app drawer, transitions, home screens, wallpapers, themes, icons and sounds will match with that of Xiaomi’s MIUI. You will also get additional features such as gesture controls, weather wallpapers and advanced lock screens. Install this launcher and try it for yourself. The final launcher that I am going to share today is titled "Transparent Screen Launcher". Although, there may be questions about the battery life, this is a really innovative launcher app. 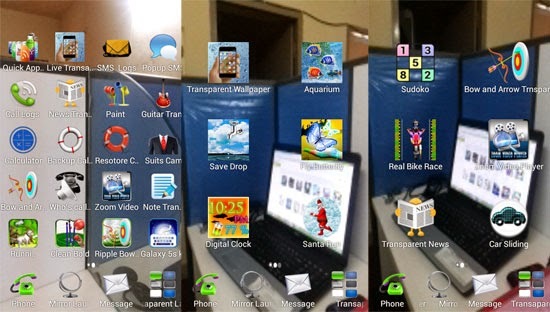 This launcher, like the name suggests, makes your Android phone transparent. Well, it is not 100% transparent but it does try to imitate. Your rear camera will be switched on at all times for transparency. So instead of displaying wallpaper at the back, your phone will show whatever is behind it. This launcher also comes with additional transparent apps for SMS, call logs, notes and many more. Give this launcher a try to experience an extraordinary feature that is not common to mobile devices.